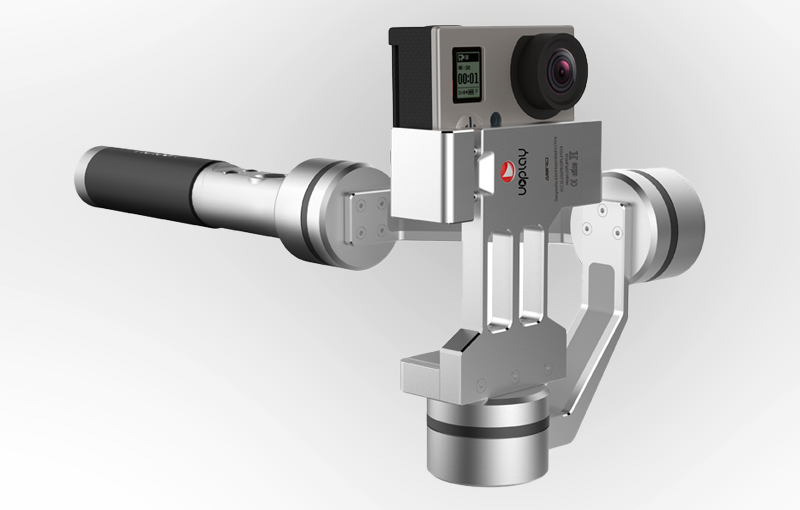 A gimbal is basically a hinged support that firmly holds your camera or smart phone in an upright position and thereby lets you click perfectly stable pictures and videos. In earlier times, mechanical gimbals with single-axis rotation were used for this purpose. Later on, these gimbals were updated to have two-axis rotation for better stability and providing better flexibility to your device. These gimbals make use of gravitational force for providing stability to your device while it is rotating on a single-axis, of course the mass of the camera or phone is also an important factor. However, continuous improvements and newer ideas in the gimbal industry introduced electronic gimbals which soon replaced mechanical gimbals completely. The obvious reasons for this replacement include some advantages and features of gopro gimbal like three-axis rotation, improved stability, stabilization of on-board moving objects, lesser camera shakes and jitters, no impact of gravitational force, and independent projection. Camera shakes and vibrations are not acceptable in handheld shooting and on-board footage, 3 Axis Gimbal serve this purpose well in stabilization systems which are projected to offer an immense ease of handling camera operator. Moreover factors like abrupt speed changes and g-force in corners do not affect the stability and performance of electronic gimbals; three brushless motors keep the level of your camera intact as it moves on all three axis and provides you an immediate response. In addition, a robust microcontroller accompanied by a set of electronic gyroscopes and accelerometers (together known as micro-machined inertial measurement unit – IMU) lets the electronic gimbal to respond to every slight movement and keeps the camera stabilized utilizing the motor assembly. An electronic smartphone gimbal stabilizer can easily level a camera or smartphone in case of turns, vibrations and changing directions whereas a mechanical gimbal suffers from inertia and negative gravitational force when used for shooting on-board moving objects. These amazing features and excellent performance of electronic gimbals, they are preferred over mechanical gimbals and have replaced them completely in the industry. Next Next post: Use your gimbal like a pro!